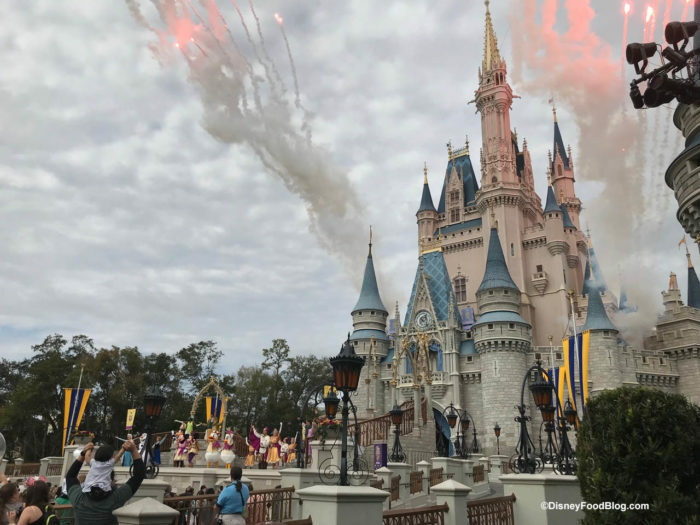 What’s New in the Magic Kingdom: Chocolate, Eclairs, Giant Corn Dogs, Construction, and So Much Merchandise! This week’s visit to the Magic Kingdom was jam-packed with updates since our last visit! There’s new Valentine’s Chocolates, Krispie Treats, Loaded Hot Dogs and Corn Dogs, Eclairs, Refurbishments, Construction, Merchandise, and Alien Popcorn Buckets! Hello from the Magic Kingdom! If you’re looking for that perfect treat for your sweetheart the Confectionery on Main Street, U.S.A. has some new Chocolate Truffles that come complete with a solid milk chocolate card! 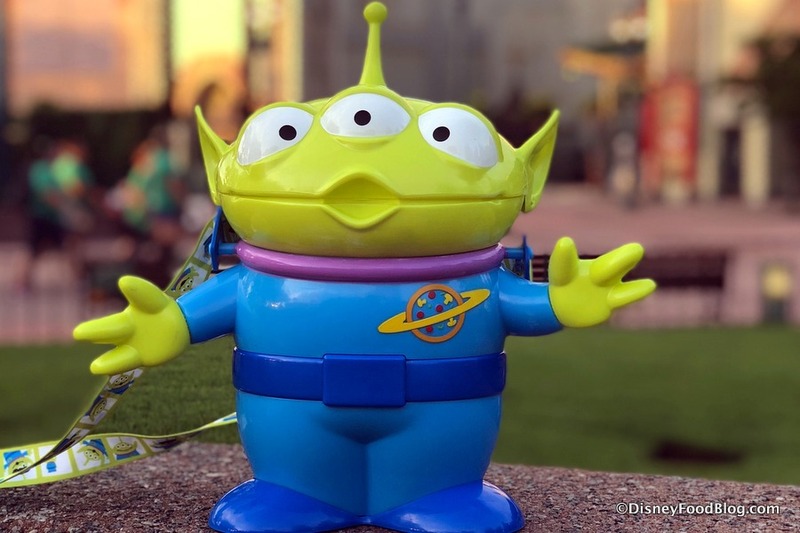 Green Alien Popcorn Buckets Are Waiting to Be Chosen By You in the Magic Kingdom! Look who we found in Disney World’s Magic Kingdom! That’s the super-popular, super-collectible, always-selling-out Alien Popcorn Bucket! This multi-eyed popcorn bucket has been in Hollywood Studios for the opening of Toy Story Land last summer, then in a jolly Santa hat around the holidays; and he was last seen there to celebrate the opening of Municiberg in Pixar Place in Hollywood Studios. But, this is the first time this green guy has shown up in Magic Kingdom. Whats New in Hollywood Studios: Popcorn Buckets, Menu Changes, Construction, Merchandise, and More! Hollywood Studios is busy preparing for new arrivals (we’re talking Lightning McQueen and Star Wars), but that doesn’t mean there aren’t other changes in the park. Here’s all the new updates we spotted this week! ooohhh! A Light Up Key Chain!! 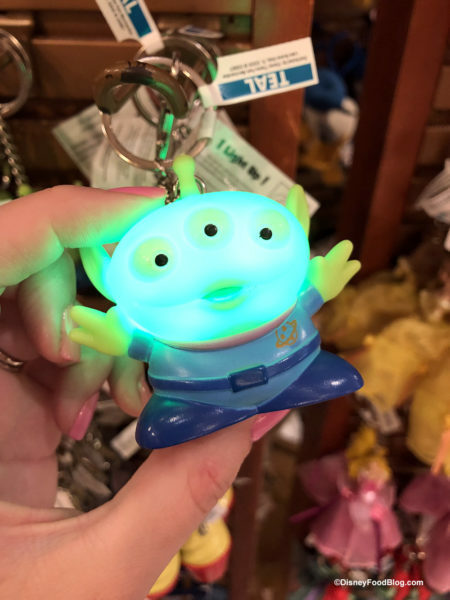 We can’t resist this Alien Key Chain! How Fun! Hollywood Studios is a busy park these days! In addition to the Skyliner coming in 2019, there also is work on the Chinese Theater’s new ride and Star Wars: Galaxy’s Edge both coming in 2019. PLUS Christmas has arrived — we’ve got Santa Alien Popcorn Buckets, a decorated Toy Story Land, and so much more! Plus Plus (haha! ), the Flurry of Fun holiday events start this week! Check out everything we found! There’s a #ShareYourEars wall in Hollywood Studios. Snap your picture and post it with the #ShareYourEars hashtag and Disney will donate to Make a Wish Foundation. 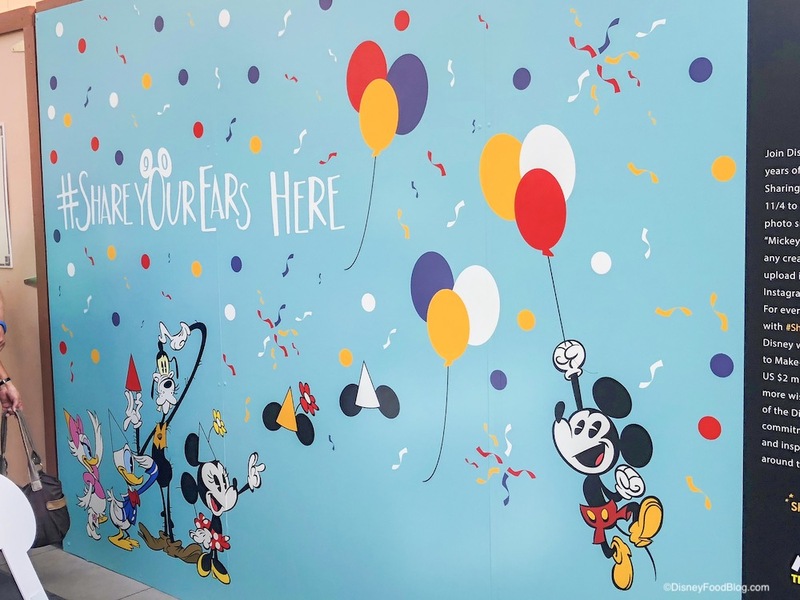 You’ll find this wall in Animation Courtyard on the way to Toy Story Land. There’s also a #ShareYourEars wall in Magic Kingdom by the Purple Wall. We anticipate seeing walls in Animal Kingdom and Epcot as well. 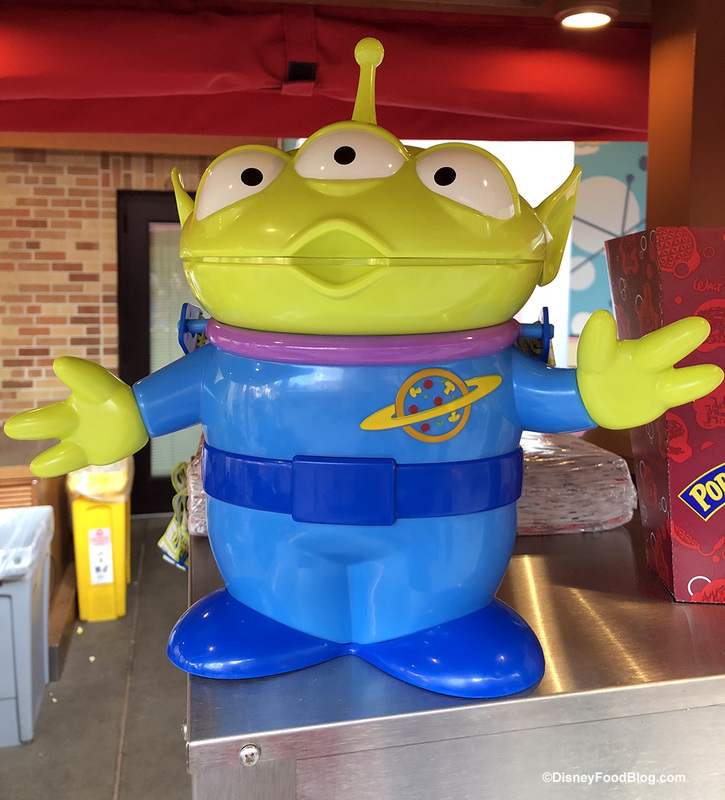 ALIEN POPCORN BUCKETS in Toy Story Land! Get Yours Before They Sell Out! We were hoping the Alien Popcorn Buckets would land in Hollywood Studios after making their debut in Disneyland this summer, and now they’re in Disney World, too! !